Many of us already know what it would take to live a healthy and happy life. Except there’s one problem…we can’t find ourselves being consistent enough to achieve it. Why not? I find that when I take time each day to slow down and meditate, I am incredibly peaceful. I’m not just peaceful during my meditation or shortly after, but when I meditate, I am peaceful through difficult times as well. I am able to somehow be in a struggle, but not absorbed or set back by it. When I’m not meditating daily, one little thing happens that didn’t go the way I wanted it and I get hurt, angry, or confused. Are you able to relate with me? Maybe your practice isn’t meditation. Maybe it’s exercising, eating healthy, writing, gaining knowledge, or something else. All of us know that if we were to keep consistent with what we know is most powerful for us then our goals would get completed, relationships be much happier, and overall life would be in balance. So what is it that keeps me, you, and us not staying consistent? What happens for most of us is we get our self on the right path doing what brings us Joy and then all of a sudden we think, “oh I can go one day without that”, suddenly that one day turns into 2, 3, 5…a month…and eventually we find ourselves in a tail spin of stuck and frustrated energy. – Tell your partner, children, and whomever that this is important to you (even if its 15-20 minutes a day) and start being consistent with yourself. What will happen is you will have more confidence in yourself, which creates more opportunities, better relationships, and healthier overall well-being. 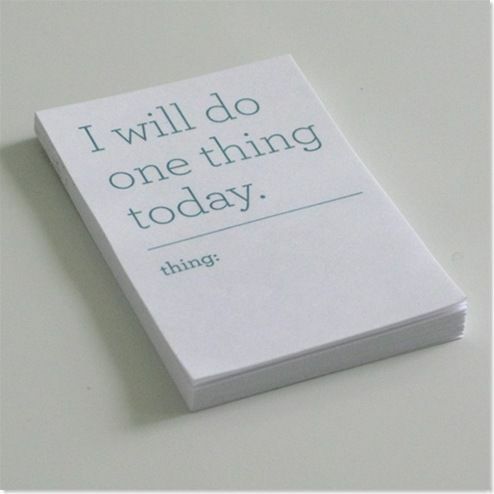 – Put a note, sticker, or something up to remind you to schedule around your priority. For me, I wear a bracelet that reminds me what benefits me most and when I see the bracelet it reminds me to stick to my priorities. – Vision yourself in the future where you have realized your dreams by being consistent in your every day practice. In your mind, see yourself living with the career that you wish for, happy partnership, or any other dream you have. – Take a moment to think of someone in your life that has made a lasting impression on you by being consistent. Even if it was as small as a neighbor that always brings your newspaper to you, a family member that always does a special something just because they know you enjoy it, or even this blog or other inspired writings that are intended to support you in your growth. You may notice that the people who have made the biggest impact on your life are those who are consistent whenever you are happy, sad, angry, confused, or any other way. You see, the power of consistency doesn’t mean you have to change your whole day or try to do too much, rather give yourself a small amount of time to do what you love. Live to love your life! You may also notice that it is generally the small things that people consistently do that make us feel cared for and loved. If you were to start being consistent with one thing that would make a huge impact on your life, what would that be? Make that one thing a priority starting today, and remind yourself each day the importance it has for you.